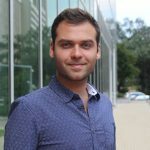 Dr. Bryan Denny is an Assistant Professor of Psychology at Rice University and Director of the Translational Social Cognitive and Affective Neuroscience (T-SCAN) Lab. He received his BA in psychology in 2005 from Stanford University and his PhD in psychology in 2012 from Columbia University (working in the lab of Kevin Ochsner). He completed postdoctoral training in clinical applications of social cognitive neuroscience at the Icahn School of Medicine at Mount Sinai (working in the lab of Harold Koenigsberg). Bryan has had a longstanding interest in seeking to understand the psychological and neurobiological mechanisms that underlie successful and unsuccessful emotion regulation across a spectrum of healthy and clinical populations. Further, he is interested in utilizing the results of basic investigations into these processes in order to design and examine novel interventions focused on improving real-world emotion regulation outcomes in a variety of contexts. Outside the lab, he enjoys traveling, sushi, playing drums, and karaoke. 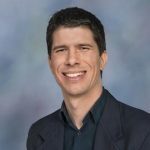 Dr. Rich Lopez earned a BA in Psychology in 2009 from Princeton University, and then worked as a research assistant in Dr. Kevin Ochsner’s lab at Columbia University. In 2017, he obtained his PhD in cognitive neuroscience from Dartmouth, where he studied brain-behavior relationships as they relate to self-regulation of eating. Broadly, Rich is interested in linking appetitive and affective processes to health outcomes and health risk behaviors—within and across populations. Outside of research, he enjoys reading, running, hiking, and nerd-ing out about metaphysics, statistics, meteorology, or any combination thereof. 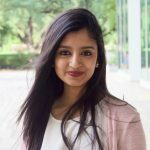 Anoushka is a second year graduate student interested in exploring neurobiological mechanisms and physiology underlying innovative affective interventions to understand how they impact health outcomes. She received her B.Sc. 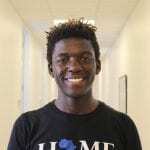 in Neuroscience at Tufts University in 2015. Prior to joining the lab, Anoushka worked with Drs. Mahzarin Banaji, Jason Mitchell, Diana Tamir (Harvard), Heather Urry (Tufts), and Vasu Chandrasekaran (Cubist Pharmaceuticals) on a variety of projects ranging from developing an algorithm to identify and prioritize secondary metabolites in genomic sequences, to implementing a cognitive control manipulation to alleviate anxiety symptoms in the presence of stress. Outside of the lab, Anoushka can be found in the ballet studio or eating sushi. 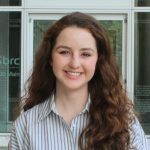 Julia recently received her BA in Cognitive Sciences from Rice University in 2017, and is now the lab manager at the T-SCAN Lab. Prior to the T-SCAN lab, Julia worked as a research assistant in Dr. Jake Kushner’s endocrinology lab studying beta cells and their role in diabetes. She also studied in Copenhagen, Denmark with the Medical Practice and Policy program at DIS. In her free time, she enjoys listening to podcasts and stand up comedy. 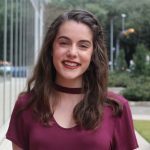 Originally from Lafayette, LA, Rebecca is now a junior at Rice University majoring in Cognitive Science and Psychology. In general, she is interested in how our interpretation of a situation or environment shapes our experience, how our perception of ourselves affects behavior, and how to use psychological research findings to make positive changes in the world. On campus, Rebecca is involved with RPC and works in the IT Help Desk. At home, she enjoys cooking and Pinteresting recipes she knows she’ll never actually cook. Noha recently earned a Masters degree in Clinical and Mental Health Counseling at the University of St. Thomas. She is particularly interested in the relationship between emotions and physical pain and hopes to research that from a neuropsychological perspective in the future. Prior to coming to Houston two years ago, she earned a bachelor’s degree in Psychology from the Ain Shams University in Cairo and then moved to Bahrain to work as a flight attendant. In her spare time, she enjoys dancing, kickboxing, meditation, and reading poetry. Madeleine is a sophomore at Rice University pursuing a BA in psychology. She is originally from Orange, Texas. 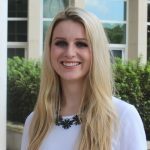 Madeleine has previously worked as a Research Assistant in the Consortium for Organizational Resilience and Effectiveness (CORE) Lab on several of its NASA-funded projects. Her research interests include emotional disorders, mental health interventions in vulnerable populations, the relationship between memory and personality, and the influence of personality on mental health outcomes. Madeleine is involved in the Boniuk Council, a student-led interfaith organization affiliated with the Boniuk Institute at Rice. In her free time, Madeleine enjoys traveling, reading, and watching movies. 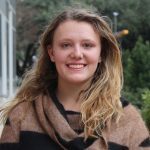 Allison is a senior at Rice University majoring in Cognitive Sciences. She intends to continue on to graduate school to earn a PhD in clinical psychology, where she can further her research interests in the biological and emotional mechanisms underlying mood disorders. 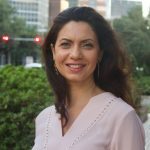 She has worked as a research assistant in Dr. Fischer Baum’s Neuroplasticity lab measuring cognitive language function in stroke victims, and is also currently working in Dr. Calarge’s lab at Texas Children’s Hospital investigating the relation between intestinal permeability and depression in adolescents. When not in class or in lab, she enjoys playing and teaching tennis, playing the cello and going to pop-punk and metalcore concerts. 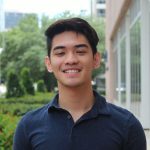 Daniel is a junior at Rice University pursuing a double major in Computer Science and Cognitive Science. 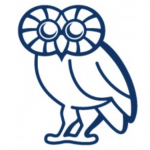 He is broadly interested in language and memory processes as well as the connections between those processes and computational modeling. 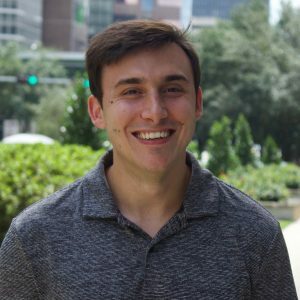 Daniel is also actively involved in Rice Nocturnal, one of Rice’s a cappella groups, as well as the Catholic education program at his home church. Outside the lab, Daniel enjoys listening to music, playing video games, binge-watching TV shows, and putting on face masks from Lush. 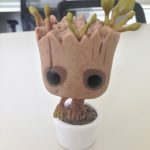 Baby Groot is the beloved mascot of T-SCAN. His resilience and positive attitude, in the face of stress and chaos, is an inspiration to emotion regulation researchers everywhere. Serena graduated from Rice University as a triple major in Cognitive Science, Psychology, and Linguistics, with a minor in Neuroscience. Serena worked as a research assistant in the T-SCAN lab from 2016-2018 and completed an honors thesis in the lab in 2017-2018. She also worked as a research assistant in Dr. Simon Fischer-Baum’s Neuroplasticity lab and as a research intern for practicing neuropsychologist, Dr. Adriana Strutt, at Baylor College of Medicine. Serena is interested in developing and testing emotion regulation strategies for students with test anxiety as well as investigating the effectiveness of reappraisal training as a treatment option for a variety of mental health disorders. In her free time, she loves to read, knit, and paint. As of Fall 2018 she will be a graduate student in the Psychology PhD program at UT Austin working with Dr. Jennifer Beer. 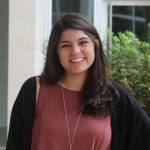 Isabel is currently a sophomore at Rice University, pursuing a bachelor’s degree in Cognitive Science and possibly a secondary degree in Psychology. 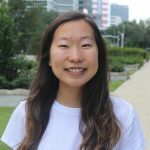 Originally from Los Angeles, California, she has worked in a Bioengineering Lab under Harry Choi at the California Institute of Technology as well as an ecology lab under Lauren Eveland at Rice University. Isabel is interested in learning more about the roles of the brain in influencing human behavior, especially in relation to the long-term effects of specific actions or thoughts. In her free time, she loves to work on her bullet journal, play boardgames and take naps. As a scientist, Shane Reader seeks to connect the dots between the neurological processes, affective evaluations, and physiological motivations that often scuffle for influence over our health-related behavior and decision-making. Drawing from an ever-deepening toolbox of functional, physiological, and cognitive measures, these lines of research seek to address fundamental questions such as, why do some people find it harder than others to make healthy choices? By what pathways do neurological motivations influence our health-related behavior? and How can we best control both our explicit and implicit processes? Donni graduated from Rice University with a Psychology BA with a minor in neuroscience. She has worked as a research assistant in Dr. Mikki Hebl’s lab, where she studied discrimination in the workplace, and the HOPE lab, where she studies the sociocultural factors of smoking cessation. She is interested in the links between brain and behavior, particularly the brain’s relationship to health behaviors and health outcomes. Outside of the lab, she enjoys reading, traveling, coaching gymnastics, and volunteering for Camp Kesem. Vivian Wilhelms, originally from Madison, Wisconsin, is currently a freshman at Rice University. She has not declared her major, but is exploring interests in psychology, biochemistry, and business. Outside of academics, she enjoys playing piano and violin, singing, photography, and spending time with her friends. 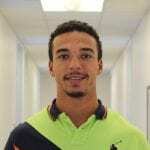 Derek Brown is a research assistant in the Rice University T-SCAN lab under Dr. Denny. Derek Brown grew up in Bay City, TX studying psychology at Rice University. Derek has a passion for research and advancing science. Some of his favorite research topics include, emotion regulation, veteran and PTSD, as well as converging evidence across literatures. On his free time, Derek enjoys giving back to his community and exploring different adventures in nature. 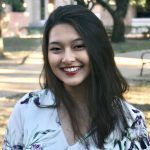 Erica is currently a sophomore at Rice University. She is originally from Illinois, but moved to Seoul when she was 10. Previously, she was an intern at the Emotion Science Center in Korea, where they developed products for more effective methods of emotion regulation and biofeedback-related relaxation training. She was also a research assistant in Dr. Hebl’s lab, where she studied racial discrimination and discrimination against pregnant women. She is mainly interested in mental health and treatment for such mental disorders, and how factors such as stress, genetics, and emotions can have amplified effects on our lives. In her free time she enjoys curating playlists of various genres, art-ing or appreciating art, reading, and wasting time on Youtube. 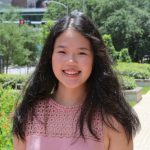 Vivian, originally from Illinois, is a senior at Rice University majoring in psychology and kinesiology. Her interests lie generally in how the body and mind interact to create experience. More specifically, she is interested in how to address physical and social-emotional limitations that affect individuals with special needs, motivating her to pursue a career in occupational therapy. During her past three years at Rice, Vivian has been actively involved with RPC and Camp Kesem. In her free time, Vivian loves to bake and feed her huge sweet tooth.